British traditions | Notes from the U.K.
March 1 is Whuppity Scoorie in Lanark. That sentence was entirely in English. Let’s take it apart. Is is a verb. March 1 is a date. In is a preposition. A preposition is anything you can do in relation to a cloud: You can be in it, on it, under it, near it. Lanark is a town in Scotland–a royal burgh, to use its formal description. You can be in it or near it. It’s awkward to be on it or under it, but it’s not impossible. 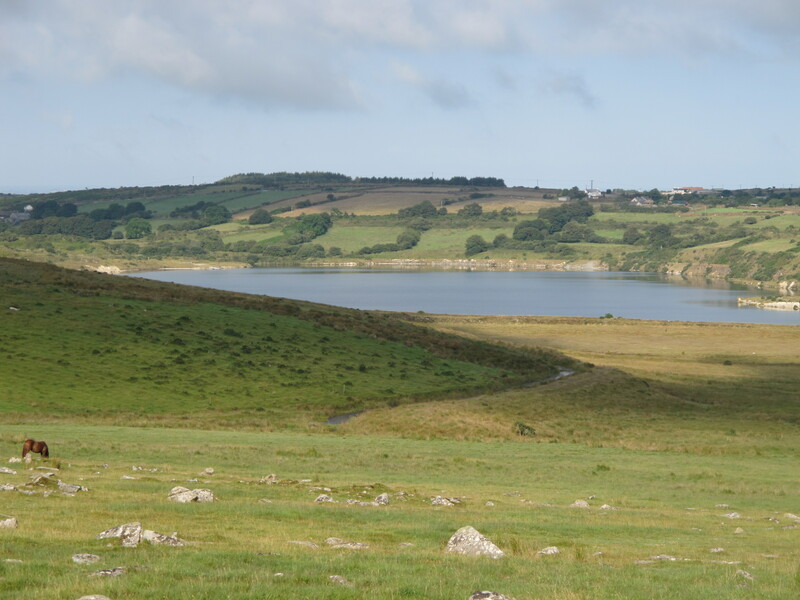 It has a population of 8,253 (or did at last count) and is 29 1/2 miles from Edinburgh and 325 miles from London. In between all those words is a festival, Whuppity Scoorie, and if you hurry you still have time to go, which is why I’ve added an extra post this week. Welcome to another oddity of British culture. A burgh? That’s an incorporated town. In Scotland. Scotland? It’s that stretch of land covering the north of Britain. We could keep this up all day but let’s move on. What’s Whuppity Scoorie? It’s aye been? That’s one of those things the Scots say to mess with the English. I’m American and easy to mess with, linguistically speaking, especially since Google translate won’t divulge the secret of what that means. But I dug deeper, with Lord Google’s permission, and found that it means it always has been. And if it doesn’t, I’m sure someone will correct me. Okay, you’ve stuck around long enough to prove that you’re serious, so let’s find out what happens at Whuppity Scoorie: The town’s kids run around the kirk (that’s the church) three times, going anti-clockwise and swinging paper balls around their heads on strings. At the end, the kids scramble for small coins scattered on the ground. Since it’s evening, the coins are hard to spot. What do people think it means? One local woman thought the ritual was pre-Christian and was meant to chase evil spirits to the neighboring village. Did either town exist in pre-Christian times? Possibly. I can’t find a date for either place. The evil spirits have been chased onto the internet and they’ve taken the dates down. Another belief dates it to the nineteenth century, when Lanark kids would march over to New Lanark to throw stones at the kids there. Like I said, good neighbors. Lanark has two other yearly festivals. Het Pint started in 1662. It takes place on New Year’s Day and involves pensioners getting a free glass of mulled wine at the Tolbooth. Lanimer Day sounds like a carnival but it lasts five days. It’s a very strange place, Britain. That’s not a complaint, just an observation. October 22 was Raisin Monday at St. Andrews University. The receipt has to be in Latin. And since modern students can’t be counted on to know any more Latin than veni, vedi, vici (and not necessarily that much), the student union website provides a text for them to cut and paste. 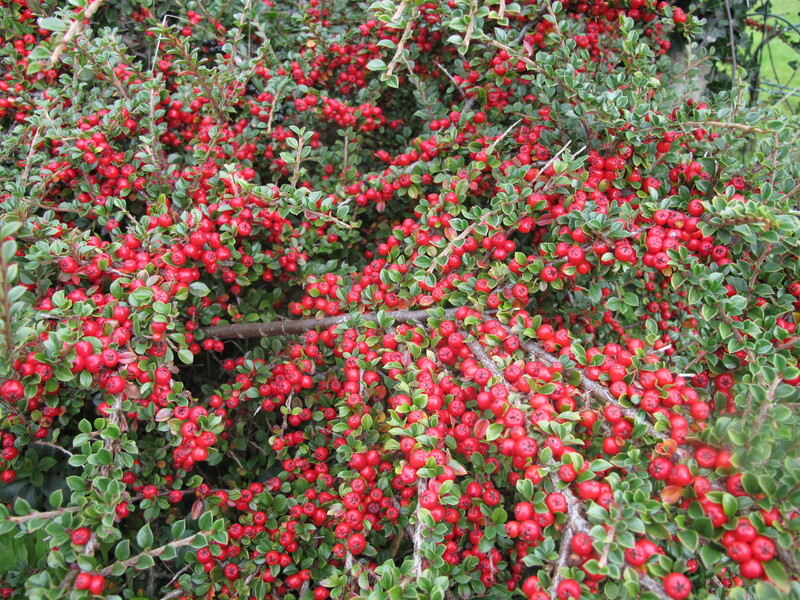 Irrelevant photo: Cotoneaster, which is pronounced ka-TONE-ee-aster. not cotton-EAST-er. The birds plant it everywhere, and very lovely it is, even when it’s just a smidge out of focus. The foam fight? We’ll get to that. Why is raisin receipt sometimes capitalized and Sometimes Not? Because these kids don’t know their Latin. What’s the world coming To? These days, Raisin Monday takes up a whole weekend (when I last looked, most weekends didn’t include a Monday, but never mind) and first-year students have both an academic mother and an academic father. In the old days, they made do with just a father, because women–as as would have been screamingly obvious to everyone at the time–didn’t belong in universities. You know what women are like. On average, they get better grades than men, and if that’s not enough they eat all the raisins. Of course you want a source for that. Or try this one if you prefer. I won’t cite any studies for that business about the raisins. Everyone knows it’s true. But times change and traditions evolve. Women have invaded universities. So the first-years are expected to bring first their mothers and then their fathers a “nice gift, “ which is more likely to be wine than raisins. The mother then dresses the child in a ridiculous costume. The father hands over the receipt. The student union warns that dressing your kid as a condom “won’t impress anyone.” They’re wrong about that of course–the world always contains some dimwit who will be impressed–but the warning’s as well intentioned as it is inaccurate. News articles about the event mention students dressed as bananas, gnomes, robots, and police boxes. Do I have to explain everything? A police box is an extinct British institution that’s the size and shape of a British phone booth (also rapidly becoming becoming extinct), but blue instead of red. They were introduced in the 1920s and were installed around the country so that people could pick up the phone and call the police when they needed to. If you watch Dr. Who, you’ll know that the tardis is disguised as a police box. If you don’t watch Dr. Who, you have no idea what I’m talking about. I may be wrong to call police boxes an institution when they’re objects. I could also be wrong to say that an institution or an object can go extinct. And I could also be wrong to trouble you with copy editors’ quibbles, but I can’t be bothered coming up with a more accurate phrase. Can we move on? Since the receipts have to be in Latin, we should all probably learn that the Latin for raisins, according to Lord Google, is contritae passo excipiuntur, but that didn’t look right to me and I asked him to translate that back to English. The English was crushed grapes. According to the sample receipt posted on the union’s website, it’s uvarum siccarum–dried grapes. Or possibly dry grapes. I don’t actually know Latin, I’m working from Spanish, a few broken fragments of Italian, and guesswork. Not many of us will need to know the Latin for raisins, but if anyone knows the real word, it would make a wonderful gift. Just leave it in the comment box. I’ll owe you a pound of virtual raisins. This is verifiable. It’s also about squirting each other with foam and dressing up as police boxes. So let’s talk about the foam fight. ITV News describes it as the messy culmination of a weekend of festivities involving hundreds of students. Paloma Paige, association president for the students’ union, explained the tradition this way: “I know some people ran in saying, ‘What is this, what are we doing?’ but nobody really knows and that’s the whole fun of it. And there you have British tradition in a nutshell. We don’t know what we’re doing and we don’t know why, but we know it’s a tradition. Hand me the shaving cream. Shaving cream (or foam, if you like) was invented in the early twentieth century but didn’t become a squirtable, fight-worthy aerosol until the 1950s. 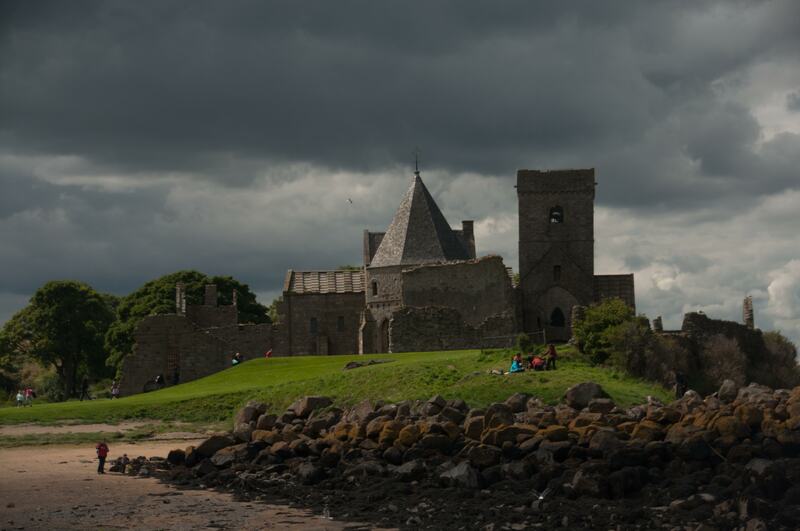 St. Andrews was founded in 1413. If anyone knows the year when Raisin Monday started, they’re keeping it to themselves. May Day’s over for rhis year, but let’s talk about traditional British celebrations anyway. First the really exciting part: Most people pay it about as much attention as they pay April 30. They rumble off to work if it’s a work day. They clean up the hairball the cat left on the end of the couch. They save a couple of rubber bands in little plastic dish that came with the plums they bought at the supermarket. Or maybe that business with the rubber bands is just me. I’m not British-British, just Americo-British. We can’t judge the British by what I do. An English-British friend saves them in a drawer. Maybe that’s more culturally appropriate. But you see what I mean. So what if it’s May Day? Who notices? Still, traditions are traditions, and even if people mostly ignore them we’re going to take them seriously. Because as an immigrant, I pay attention to this stuff. The celebration of May Day goes back to the Roman celebration of Floralia, which honored (or something’d) Flora, the goddess of flowers. It also goes back to Celtic traditions and the celebration of Beltane. Or so an assortment of websites say. How much anyone really knows about ancient celebrations that left no direct line of believers or practitioners is anyone’s guess, but what the hell, modern mythology creates its own traditions. I’m in no position to complain about other people taking things seriously. We could take a minute here to argue about whether Celtic’s a useful category, since it the Celts didn’t call themselves Celts, but let’s break with the tradition here at Notes by not getting too sidetracked. May Day also–or so they say–goes back to the Anglo-Saxons. When a tradition has this many origins it’s either something ancient people had a very powerful need to celebrate or else modern people are making it up. The choice is yours. Were any of these celebrations actually on May Day? Beats me. Months aren’t what they used to be and I’m doing well to keep track of the 2018 calendar that hangs on my wall, never mind the ones they used way back when. 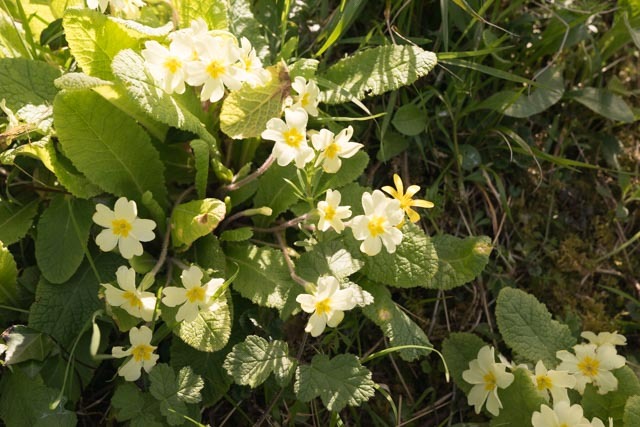 What I can tell you is that some websites say May Day is celebrated because it’s the start of summer but others say Britain’s meteorological summer begins on June 1 and the astronomical summer starts on June 21. They don’t say a word about May 1. Are you confused yet? Good. We’ll begin with me repeating that we might want to take some of the ancient traditions with a few grains of salt, and some modern ones might need–. Oh, dear. I just googled “hangover cures,” thinking Pepto Bismol might be either out of date or too specific to the U.S. The list of cures Lord Google offered included pickle juice, coconut water, miso soup, bananas, and leafy greens, but none of them have the universal tang I was looking for. The list did remind me that the world’s moved on since my last (and only) hangover, when I thought mashed potatoes would help. They didn’t. 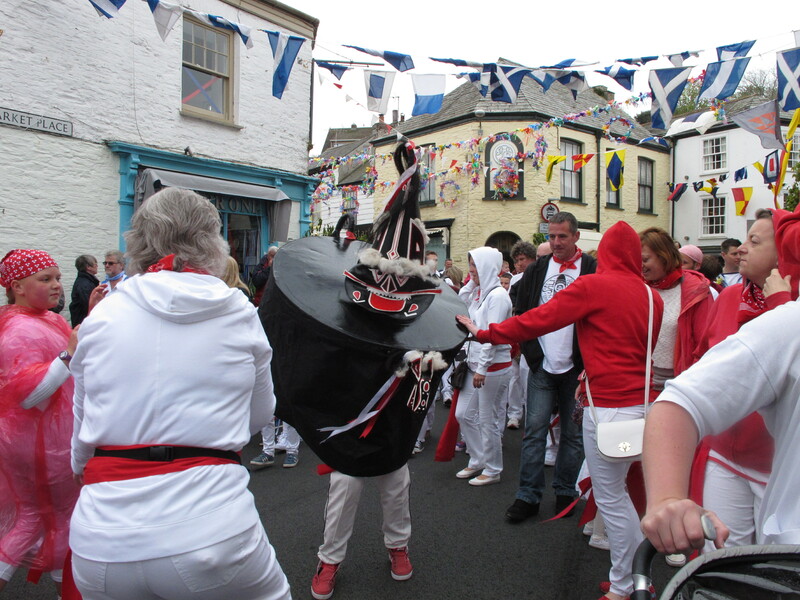 But that digression does prepare us to talk about Cornwall’s own May Day celebration in Padstow, Obby Oss Day. Without in any way calling its pedigree into question, I’d still recommend taking it with a grain of mashed potatoes. No one knows what Obby Oss Day’s origins are, but it’s been going on uninterrupted for hundreds of years and may be connected to Beltane. It also may not be. Either way, it’s legitimately old. It involves drinking, singing, flowers, and a oss. Or maybe that an oss. I was allowing an absent but imaginarily present H, but–oh, never mind. I’ll just avoid letting the words bump up against each other from here on. A relevant photo–something so rare it’s an endangered species: This is the red Obby Oss. I’m not sure when that business with the guns stopped, but it’s in the past now. The drinking continues. 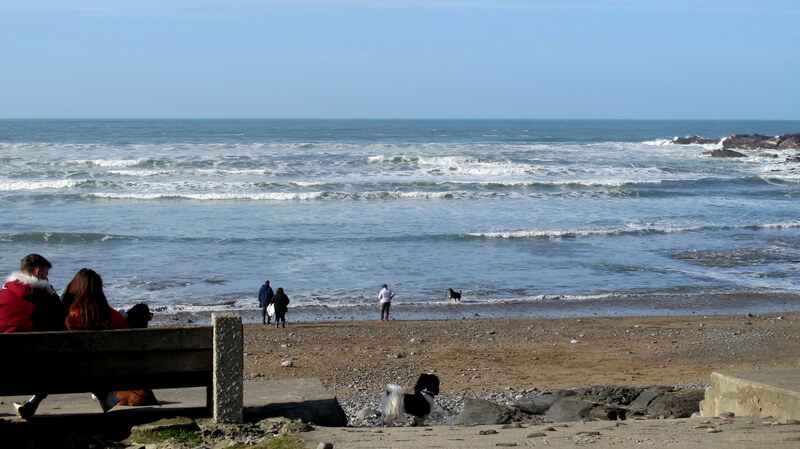 A friend who not only goes but takes time off work so he can dedicate himself seriously to the celebration says it rumbles on into May 2, but only local people know about that part. The drinking and the singing are legendary. More generally, according to WikiWhatsia May Day was originally a religious holiday but survived as a secular celebration when Europe became Christian. Much later, it was banned by the Puritans, who caught a whiff of its non-Christian origins and suspected that people were having fun. I’m not sure which they considered worse. It was brought back in 1660, when the monarchy was restored. In many places, morris dancing has a strong association with May Day. As far as I’ve been able to understand it, though, morris dancers have a strong association with everything. They’ll show up anywhere they can pull a crowd–or borrow someone else’s. Dancing around a maypole and crowning a May queen are also traditional. Inevitably, I googled “maypole dancing” and when predictive text offered me “maypole rentals” I was about to use it to show that dancing around a maypole is still popular, but then I followed the link and it turned out to be for rentals in a place called Maypole. So never mind that. Still, there’s another way to make the argument: Cornwall LIve reports that maypole sales are growing and traditional May Day activities are drawing crowds the like of which they haven’t seen for years. Why? Because collapsible maypoles are now available the they can be stored and used the next year. Who knew they had to be bought? I thought they came from the woods. Or the air. And who knew that someone could make a living teaching maypole dancing, but the article quotes someone who does. I never even stopped to think that it had to be taught, but if the dancers can avoid tying each other to the mast, I guess that’s good. And May queens? If a village crowns one, it will choose only one, and she may be balanced out by many men dressed as the green man. Any man, it seems, can decide to be the green man, but god help the woman who crowns herself the May queen instead of waiting sweetly for someone else to pick her. Excuse me while I hide in the corner and puke without in any way calling your attention to myself. In fairness, Historic UK gives us the lone May queen balanced by a single Jack-in-the-Green, who would lead the procession. What procession? Why, the one associated with May Day, silly. I’m not sure if the green man and Jack-in-the-green are the same character. We’re into more ancient legend and modern interpretation. One website dates the green man back to Rome, but another part of the same site says the label dates back no earlier than 1939. We’ll save all that for a different post. Before we go, though, no roundup of ancient legend and modern interpretation is complete without a quick visit to Glastonbury, a city with a reputation for being–. How am I going to put this? Alternative. Alternative to what? You name it. Glastonbury seems to go all out for May Day. No collapsible maypole for them. Men dressed as the green man carried a maypole made from a tree trunk and a fire was lit in (presumably) the Beltane tradition. A series of newspaper pictures shows green men as well a couple jumping the fire. The caption on the fire photo explains that jumping a Beltane bonfire blesses a couple’s union and encourages fertility. I know the world’s changing, but the man in the photo is as likely to get pregnant as the woman is. Or as I am, while we’re at it. On the other hand, the world’s a wide and interesting place. If literal fertility’s unlikely beyond a certain age, may they find the metaphorical kind in this season of rebirth when the trees put forth leaves, the lambs are shiny and new, and the weeds thrive. And may you find the same yourself. Stay out of the fire. It’s dangerous. May Day swept past weeks ago, but that won’t stop us here at Notes. We’re not so small-minded that we’ll be bothered by a little thing like the calendar. I learned about the Oxford May Day celebrations from a newspaper photo and caption, and the clipping just rose to the top of the swamp I call my computer table. So let’s slip back in time. Oxford celebrates May Day in traditional style, and Britain takes its traditions seriously. At 6 a.m., the Magdalen (pronounced Maudlin; don’t ask; no answer will make sense of it anyway) College choir sings “Hymnus Eucharisticus” from the Great Tower as the sun comes up. A quick reality check before we go on, though: The sun came up at 5:36 that day. I just looked it up. But who am I to argue with tradition? 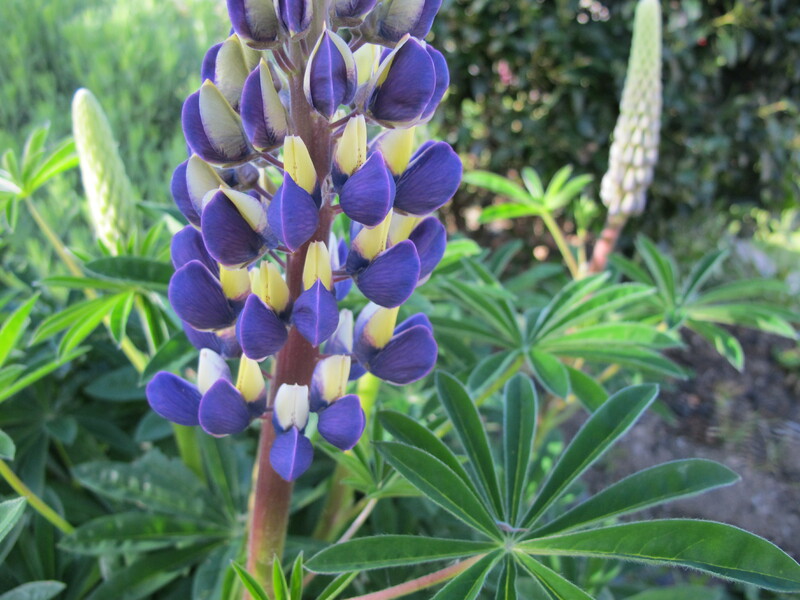 Marginally relevant photo: This is a flower–a lupine if you want to be specific. 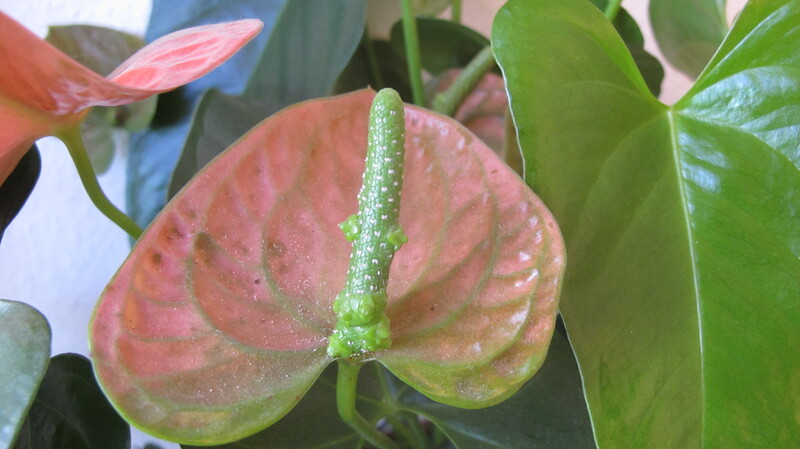 May Day has to do with the coming of summer, when flowers bloom. I know, it was a stretch, but we got there. According to one source, the choir has been doing this for 500 years. Presumably not with the same singers. According to another source, the song was composed in the 17th century. I just counted on my fingers and that would make it 400 and some years old (probably—we can’t trust my fingers when they’re counting stuff), but if tradition says it’s 500 years old and the sun’s just coming up, okay, it’s 500 years and the sun just rose. See its little red dome poking over the horizon? Yes, England is a cloudy country. That’s why it can have a 500-year-old tradition and in all that time never notice that it’s mis-timed the sunrise. After the song, the bells ring out for twenty minutes and everyone goes deaf. Sorry, that’s “approximately twenty minutes” and everyone goes deaf. I don’t want to misrepresent this. After that, there’s morris dancing on the streets, breakfast in cafes and pubs all over the city, and if I’m reading this right, a whole shitload of drinking, which starts the night before and continues until everyone falls over. Or (see below) jumps into the river. Oh, and there’s some deeply traditional samba dancing. Samba was introduced to Britain in the 1980s by, among others, the passionate anti-apartheid activist Steve Kitson. Since then, Britons have been dancing it so intensely that by now it’s been going on for 500 years. Magdalen (pronounced—oh, one way or another; I’ll get to that in a minute) Bridge is closed to traffic from 3 a.m. till 9 a.m., but it’s open to pedestrians. In the 1980s, people started jumping off it into the river Cherwell, and in 2005 some 40 people were hurt, including one who was left paralyzed. The river can be low at that time of year. The city works madly to discourage jumpers. Some of whom have been drinking for 500 years by then. I’m going to be deeply discouraged if someone convinces me that the song really is 500 years old and that the sun rose at 6. In the west. Now, about Magdalen Bridge. The college is pronounced maudlin. Magdalen Street is pronounced magdalen. Magdalen Road is pronounced maudlin. The bridge? I don’t know. My best guess is that the M, G, D. L, and N are silent. I’ll write about morris dancing in a separate post. Stay tuned.